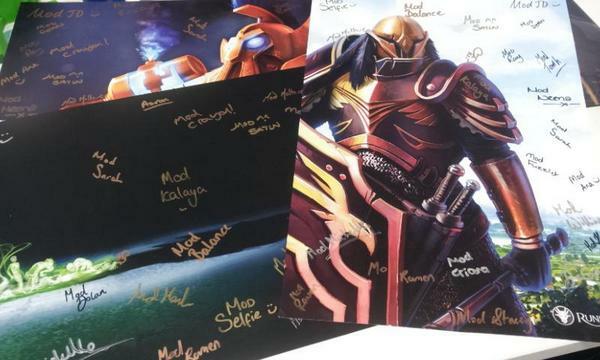 Tell me where you'd like to go on holiday in RuneScape for a chance to win one of the below signed artwork! [end random competition because I'm super happy I'm going on holiday]. Results will be announced on Monday 29th! Where are you going Kalaya? If you want to share that information with us. It's so peaceful there, with almost extinct creatures. There is also some nostalgia there when you look at them. I'm stuck out of where to choose.. I'd love to try Gop, as a person rather than an avatar.. I used to love the area behind Prifddinas and Eagles' Peak, though not sure how much it had changed now.. it may have too many people for te traquility it used to have. I find the Cosmic Entity's realm to be an oddly calm place, and very beautiful.. The Land of Snow Cyan, is lovely.. I think if I couldn't play Gop, and had to stay in one place.. then I'd probably have to choose Keth*i, as I find it fascinating, and another place with great silence, and much to exploore. There are many ruins (presumably more than we can see/are mapped), there's an eerie silence, and gently falling flakes (I know it's ash-type stuff, but I find any such snow/skbalt-sand/even rain thing soothing). I could quite happily paddle arround there in a canoe, for Years, provided food and water was no problem. It'd be great! Arr ye, whisk me off and top up me ale it'll 'ave to be Brimhaven. A popular holiday choice for over ten years running; top up your tan on the western coast and even grasp for a chance to see some of the exotic wildlife from within the deep Karamja'ian Jungle. Nothing like spending the day working on that tan and closing the day with a nice bashing around at one of the famous bar brawls over at the Dead Man's Chest. Ah ! I would go to Priffdinas (if I had access) simply because of the amazing scenery and great artistic detail into it. I feel it would be awesome to go there to have some peace. If it were IRL, I would definitely go to the Elf City on vacation.